Over the past couple of months, the entire digital currency market has been stuck in a tight trading range. Almost all the top coins in the market have been recording slow growth. However, Litecoin (LTC) is one digital currency that seems to be amassing considerable gains on a low key. The value of the coin has almost doubled from year-to-date. When LTC plunged significantly last year, many were scare if Litecoin will go up. Will Litecoin recover? That was one of the most common questions its enthusiasts asked. 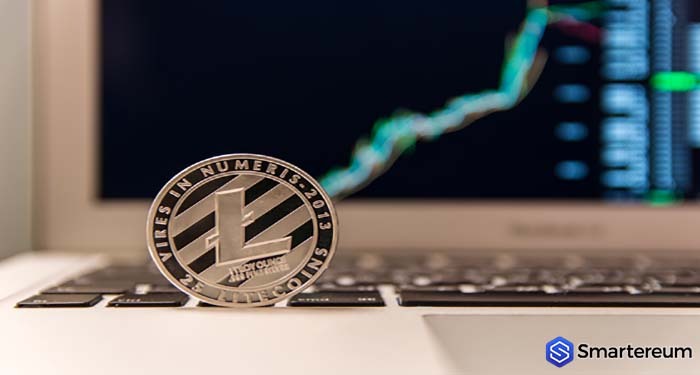 However, with the bullish Litecoin price prediction 2019, the hope of its fans was restored. Litecoin (LTC) has been on a recovery process since the start of this year. The digital currency has also benefited from a couple of high-profile partnerships driven by Charles Lee – the creator of LTC. The fundamental use case of LTC is “P2P electronic cash.” However, the digital currency is now creating an identity of its own. Since September last year until this moment, the value of Litecoin (LTC) has almost doubled. SFOX – a digital currency prime dealer – believes that there are catalysts pioneering this rally. The crypto prime dealer has highlighted some of the potential catalysts for the double price surge of LTC. The team behind Litecoin is very good at getting businesses to integrate Litecoin (LTC) into their payment systems. Lee has been able to secure some strategic partnerships that are resulting in the mainstream adoption and use of LTC. Bob Moore Auto Group recently signed a deal with @AlianPayment to start accepting LTC at their dealerships. The support and adoption of digital currencies by merchants are extremely crucial for mainstream adoption. Litecoin (LTC) has been sailing on this boat for quite some time now. Litecoin recently partnered with Spend. This partnership has increased in the number of locations the digital currency can be spent by forty million locations, according to SFOX. Since the emergence of crypto, many have preferred to the conventional way of sending money. Digital currencies are known for the relatively cheap transactions fees. It is way cheaper than credit card transactions and traditional money transfers. Litecoin (LTC) is one of the most attractive digital currencies when it comes to transactions costs. In November last year, a transaction worth $62M was carried out on the Litecoin network. The transaction fee of that transaction was just 50 cents. The dev team of LTC is also working on slashing the transaction fee further. Blockchain transactions are faster than the traditional ways of sending money in banks. However, MasterCard and Visa payments still compete with blockchain transactions. But the Lightning Network has tackled this issue. LN is a layer-two technology that accelerates transaction confirmation times of Litecoin and Bitcoin to seconds or milliseconds. At the moment, almost 5k merchant support Litecoin LN payments via Coingate. The next halving event of Litecoin (LTC) is coming up in August this year. The event will see the slashing of the mining reward in half. It will also reduce the number of Litecoin tokens entering the market. This would create scarcity for the coin and result in an increase in its value. The fear of missing out on this has made many to start purchasing the digital currency now. This is another catalyst that is driving the value of the coin.